We have previously heard that Snapchat is working on the second generation of its Spectacles. The FCC filing revealed the details of a similar physical product that we have already seen from Snapchat. Now, in a new interview of Snap Inc. CEO Evan Spiegel with Wired, we have come to know that the company is planning to release the new version of otsSpectacles later this week. So let’s dive in to see some more details on the matter. As for last week’s FCC filing, there were not a lot of details available on the second physical product from Snapchat. However, we did find out that the device would feature 802.11ac Wi-Fi capabilities and are labeled with the model “002”. Today’s news also does not have a lot to share than just one aspect of the forthcoming accessory form Snap Inc. However, we do know now that we will see the new hardware later this week. The new feature is a tiny change to the company’s product, but it’s instructive in discerning Spiegel’s endgame. Later this week, the company will announce an updated spectacles product. The new feature which is being talked about is Snappables which is the platform’s new AR games that launched earlier today. 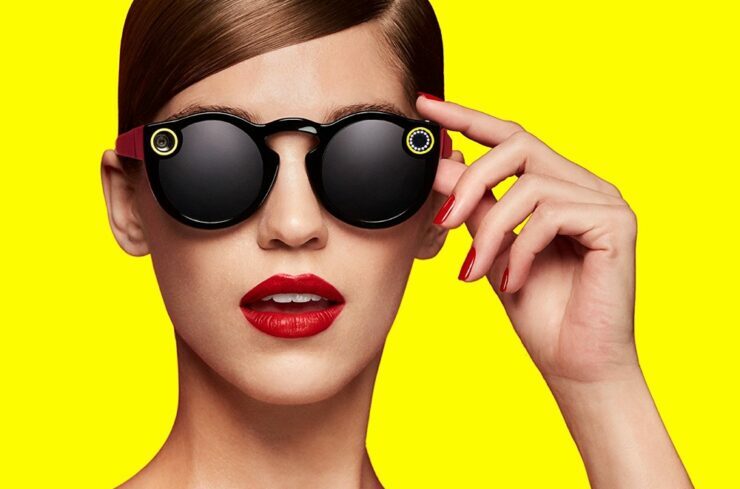 The initial impressions of Snap’s first iteration of Spectacles were pretty decent, however, late last year, it was reported that hundreds of thousands of units remained unsold. Ultimately, this allowed the company to write off as much as $40 million. In addition to this, Cheddar predicts that we could possibly see two versions of the hardware. One would feature GPS and dual camera setup with more advanced tech while the other would be pretty much the same as the first generation of Spectacles. However, there is still a lot that we don’t know about the hardware, so let’s just wait for the release unless there’s any leak. There will be more to the story, so be sure to stay tuned in for more details. This is all for now, folks. What are your thoughts on the second iteration of Spectacles? Do you think it will be able to convince users this time? Share your views with us in the comments.